Ana Rodríguez García was born in Granada and she started her bassoon studies when she was nine years old at the Conservatorio Profesional de Música Angel Barrios of Granada. During her undergraduate studies she decided to stay in Granada at the Real Conservatorio Superior de Música Victoria Eugenia where she studied with Manuel Valero and Bartolomé Mayor. 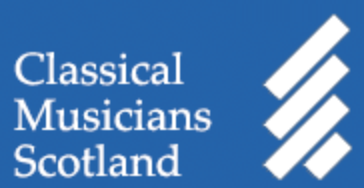 In her fourth academic year she went to the Royal Conservatoire of Scotland with an Erasmus Scholarship and stayed two more years doing her postgraduate studies with Alison Green and David Hubbard. In 2018 she was graduated with a Master (MMus) in Bassoon Performance at the RCS. Ana has worked with the Orchestra Ciudad de Granada and has been part of scheme projects with BBC Scottish Symphony Orchestra, Scottish Chamber Orchestra and Royal Scottish National Orchestra. In 2017 she was part of the NJO (Nationaal Jeugd Orkest of the Neetherlands) in their Summer Tour. Her orchestral training started with young orchestras such as Joven Orquesta Sinfónica de Granada, Orquesta de la UGR, Orquesta Académica de Granada and the Academy of Orquesta Ciudad de Granada. Ana also received masterclasses from great bassoonist as Santiago Ríos, Amy Harman, Joost Bosdijk, Andrea de Flammineis, David Tomás, Matthias Racz, Joaquín Osca, Vincenzo Menghini, Gretha Tuls and Graeme Brown. Before going to Scotland, Ana was member of the woodwind quartet Euterpe which played in different music festivals and competitions in Granada. She has also been commended at the Classical Concerto Competition of the RCS.